We all know he directed one of the most successful Bollywood films of all time, 1995’s Dilwale Dulhania Le Jayenge — which, by the way, is still running in some Mumbai cinemas. 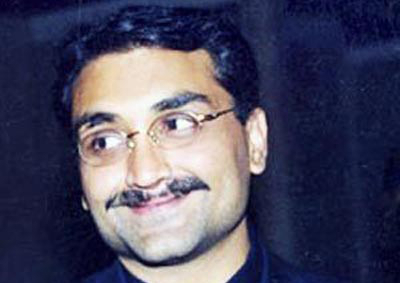 But who really is Aditya Chopra? The eldest son of the late legendary filmmaker Yash Chopra, who died in 2012, it is safe to say Aditya grew up around films. Born in 1971, he was reportedly diagnosed with APD (Antisocial Personality Disorder) as a child, and grew up shy and reserved, choosing to watch films and write stories. He’s still notoriously private today, rarely giving interviews or making public appearances. Even his relationship with Bollywood star Rani Mukherjee was fiercely guarded, with the couple never publicly acknowledging it, although there have been rumours for many years. News of the secret marriage in Italy on April 21 shouldn’t come as a surprise. The privacy is for another good reason too. This is not Aditya’s first marriage. The director and producer married his Bombay Scottish School mate Payal in 2001. The couple filed for divorce in 2009 following rumours of a budding relationship between Aditya and Mukherjee. As the son of one of India’s most successful directors, Aditya’s introduction to films started early. He started assisting his father in iconic Bollywood films such as Chandni (1989), Lamhe (1991) and Darr (1993). By the time he was 23, he was ready to helm is own film, Dilwale Dulhania Le Jayenge, one of the longest running Hindi films of all time. Interestingly, Aditya has directed only two films since (although he’s rumoured to be working on his fourth): Mohabbatein (2000) and Rad Ne Bana Di Jodi (2008), all major hits. He was very active behind the scenes though, and was credited as writer — apart from the films he directed — for massive hits such as Dil To Pagal Hai (1997), Veer-Zaara (2004), Salaam Namaste (2005), Jab Tak Hai Jaan (2012) and Dhoom 3 (2013). As a producer, he’s been behind most of the films under the Yash Raj Films banner, the company set up by his father, which now owns a number of subsidiaries, including offices in the UAE. Yash Raj Films set up YRF Entertainment in Los Angeles in 2011 to produce films for Hollywood and the international market, with Aditya’s brother Uday heading it up as CEO. The company is behind the Cannes film festival opening film, Grace of Monaco, starring Nicole Kidman as Grace Kelly. In 2010, Aditya spearheaded YRF Television, creating shows for TV. He also helped launch Y-Films in 2011, which produces films targeted specifically at a younger market. Like his father, Aditya is also a king maker, having helped launch the careers of many Bollywood stars and directors through his banner. Yash Raj Films today has its hands in everything from film production to studios and music records to film distribution. In 2012, the company’s turnover was pegged to be around Rs2.5 billion (Dh151.7 million) by experts in The Economic Times. Aditya was made the vice chairman of Yash Raj Films and YRF Studios in 2007, making him one of the most powerful men in the Indian entertainment industry.